Every time I use Fabrica wall-to-wall carpet and area rugs in my projects, I am happy knowing that I satisfy my clients for life. PREMIUM BRANDED FIBERS– All Fabrica nylon products are manufactured from premium natural luster type 6.6 Nylon. Type 6.6 nylon possesses exceptional colorfastness and has a higher temperature capability for heat set retention. 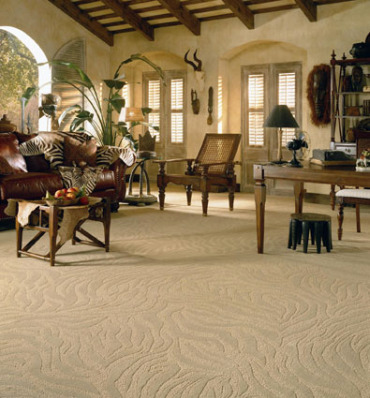 YARN TWIST– From a manufacturing standpoint, yarn twist is the most important specification that determines performance in a quality cut-pile carpet. Simply stated, the tighter the twist, the better the appearance retention. Fabrica carpets have the highest yarn twists in the industry. DENSITY– The number of tufts per square inch (determined by stitch rate and machine gauge) plays an important role in creating a beautiful appearance and maintaining pile resiliency. All carpet looks good new. How will it look in 2, 3, 5 years? BECK DYEING– Or piece dyeing, means the carpet is dyed the old fashioned way. Over 3 hours of deep dye emersion gives greater color uniformity than carpets with high speed production methods which apply dye to the surface of the carpet while moving at a rapid rate. While lower in cost, it does not produce the quality of the beck dyeing process. BACKING– Fabrica offers the finest, most tightly woven backings in the industry, which result in greater dimensional stability. We utilize pure latex for greater lamination properties. 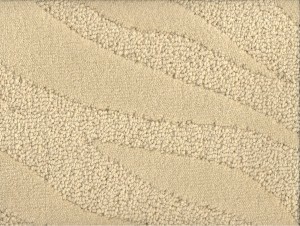 The pure latex also helps create soft, pliable carpet preferred by most carpet installers. SURFACE SHEARING REFINEMENT– The ultimate detail which separates good from great carpet. The process is to shear irregularities from the surface of the carpeting, much like a mower cuts grass. Some Fabrica products are sheared as many as 20 times to produce the most refined carpet finish in the industry. SOIL AND STAIN PROTECTION– Fabrica employs only state of the art pressurized foam stain chemistry so you know your investment is protected. GREEN LABEL PLUS– All Fabrica products are Green Label Plus certified, exceeding the highest indoor air quality standard for low VOC emissions. This spectacular large scale pattern is reminiscent of Zebra skin and creates the visual impact of woven or hand-tufted products at a fraction of the cost. It provides outstanding performance capabilities and is ideal for either residential or moderate commercial applications. It is available in thirteen natural colors.